Pick Your Topic. Pick Your Dates. We do the rest…. 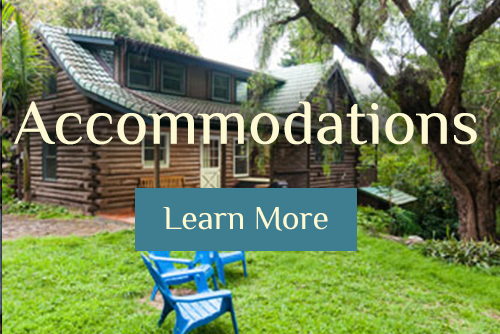 Due to popular request, in addition to our customized retreats and group retreats, we are now offering pre-designed private retreat packages that you can easily fit into your vacation plans. Even if you can only sneak away to treat yourself for a day or two, we can assist you in having the transformational experience of a life time. PLEASE NOTE that we also offer customized retreat packages personalized to YOUR Timeline, YOUR budget, and YOUR Needs! We are happy to assist you whether it is only 1 session a day, or an intensive…just let us know your needs and we will customize a retreat just for you. These pre-designed retreats are shared for your convenience, but many of the sessions can be substituted so don’t let these itineraries limit your possibilities. Check out our Session Descriptions and feel free to add, subtract or substitute until the itinerary is perfect for you. We can spread the one day itinerary over the course of several days as well, and add a few more sessions if you’d like. The possibilities are limitless…. We customize these retreats to your timeline…so let us know when you want to come, what your needs are and what your budget is and we will alter or adjust to personalize the retreat experience just for you. Please keep in mind that these itineraries are just samples. For the most part, sessions are exchangeable so if something doesn’t sound like what you want, let us know and we will help you find the perfect alternative. You will be amazed at the results you get in just a matter of days. Bask in divinity in the beauty of nature while discovering the beauty of your own nature as Divine! This personal and spiritual growth retreat will gently open your heart, heal your emotional wounds, help you gain clarity and move you firmly forward on your journey through life with greater love, joy, purpose, and success. Package 3: Body, Mind Spirit Reboot! These retreat sessions are recommended as a basic foundation for transformation. 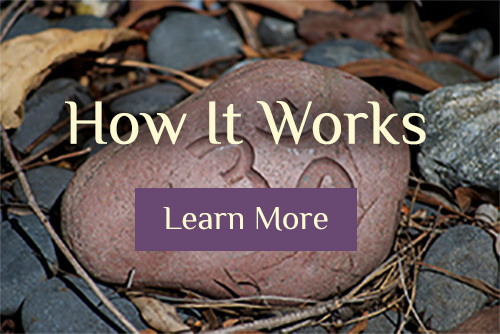 Every day is a balance of body, mind and spirit and the retreat allows for both healing the past through emotional release and the gaining of a new perspective, as well as clearing determining where you are now, where you want to go and offering you tools, skills and a practice for getting there. You show us what your soul wants, we light up the path-Your Heart Path. This Relationship Retreat (For a couple or individual) is the perfect blend of working on yourself and your relationships simultaneously. We have found that relationship with oneself is foundational to relationships with others. When we have self-mastery, all other areas of our lives improve. When we have self-mastery and relationship tools and skills, life and love become easeful instead of stressful. The Feel to Heal Retreat is all about emotional healing from loss and trauma—grief, divorce, being laid off, recovery from a tragedy. There really is no way out but through…but once you have gone through the eye of the needle you will come out the other side to live, love and laugh again. We promise you that underneath your pain, joy is trapped just waiting to be unleashed. We will lovingly guide you back to life after loss. Three days to a Healthier You! There is really nothing more important than our health and wellness. As we all know, all things come to a screeching halt when we are sick, in pain, lethargic or simply not at our best. Nutrition and movement are critical elements of our well being. This retreat will take you from wherever you are now and catapult you forward on the journey of wellness. For the serious transformation seeker, this intensive retreat is guaranteed to give you the tools and understanding you need, the grounded experiences you need, and the time to practice your new-found skill set under supervision, loving guidance and input. Focus on Self-Esteem, Clarity, Spirituality, Decision Making, Strengthening, Trauma Recovery, Healing and the development of a solid practice for moving forward. You pick the dates, we do the rest. And yes, it can be shorter, or longer. 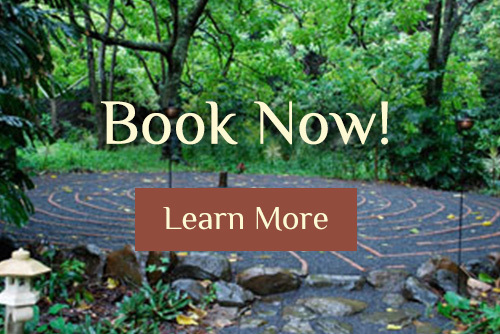 In a personalized Labyrinth intensive, Eve will share with you a deep look at the labyrinth and the rich field of metaphor it offers on the journey of life. Whether your primary purpose is to deepen your skill as a facilitator or to enrich your own spiritual journey, this retreat will be powerful and rewarding. Combining her expertise and passion for sharing relationship skills, and tools for personal and spiritual growth, Eve offers a unique perspective on the many uses of the labyrinth while exploring the wide range of labyrinths here on Maui: 7-circuit labyrinths, 11-circuit, church, school and hospital labyrinths, ocean-side labyrinths, as well as the beautiful The Sacred Garden labyrinth nestled in a Kukui grove. Every parent/teen/young adult or family could use help renegotiating changing relationship roles, healing from past hurts and pains and finding new ways of loving and supporting each other through life’s transitions. This retreat is meant to provide you with new skills and tools and a new perspective on life and each other. Whether you come as a lone parent and child, or both parents, or a whole family this retreat will serve to Re-Create your relationship and assist you in moving forward in a healthier, happier manner. We recommend that a parent attend with a teen (especially if under 18) as the issues are rarely just theirs…a systemic approach to healing is needed for systemic or habitual challenges. The Thriving Family Retreat offers RE-CREATION of a family or group bond. Rejuvenate your family, reconnect, and rebuild your bond. Go beyond just taking a vacation—come back healthier, happier and more functional! Make this an experience that will transform your lives together when you return home while creating lasting memories. This Woman’s Empowerment Rite of Passage Retreat was originally created to support young women going through a rite of passage or transition…..women of ANY AGE will benefit and are welcome! Whether Adolescent to Teen, Teen to Young Adult, Young Adult to Responsibility, or Virgin to Involved, Single to Married, Child to Mother, Married to Divorced, Working to Retiring this Rite of Passage Retreat will support you on your path. Depending on your needs, the topics will be custom tailored to your specific transition and will include: Self-Esteem, Menstruation, (or Menopause) Nutrition, Relationships, Sexuality, Fertility Cycles, Powerful choices, Sacred Creation, Spirituality, Self-Mastery, Creativity, Grief, Intuition, Wisdom…. This weekend Relationship Retreat is perfect for those of you who only have 2 days to spare and want to give your relationship a step up toward better connections, better communication, more understanding and greater joy.